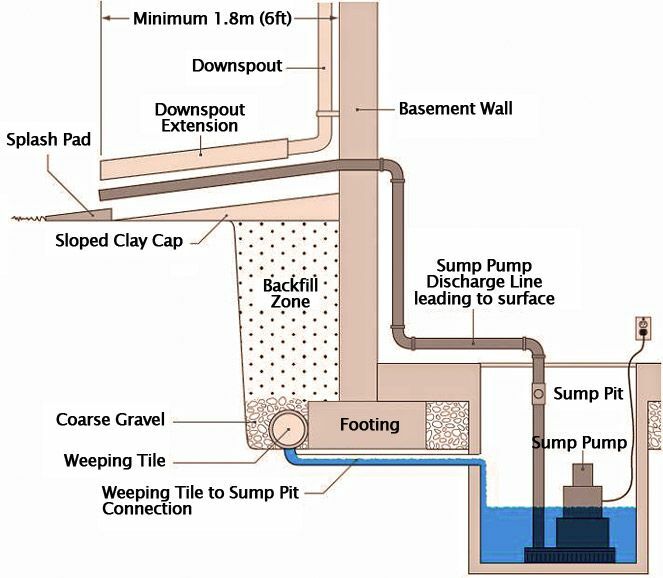 The purpose of a sump pump is to collect any groundwater that may come into your basement and redirect it out of your home. Any home that has either a crawlspace or basement should have one installed. During the winter months, especially lately where it is excessively cold, the discharge lines can become frozen. If this happens, it can not only break the sump pump from working, but lead to a basement flood that cannot as easily be mitigated. 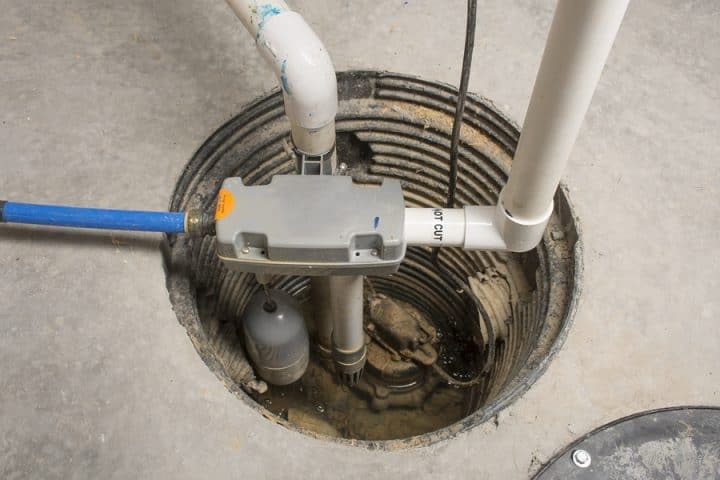 Here are some key tips for your sump pump. If this is happening, it can be the result of a wide array of reasons, from a broken line, or if it was a recent installation, improper installation associated with the pit or basin. Contact a plumber as soon as possible. Sump pumps should be installed with an air-tight lid. If you smell anything coming from the sump pump, check the lid seal and either fix or replace. If water is unable to flow throughout your home, it is likely that it is frozen somewhere within your pipes, resulting in water within your sump pump also freezing. Frozen water in the sump pump can cause the pipes to rupture due to the added build up of pressure. Not only can this cause the sump pump to cease operation, it can cause a flood. Keep an eye on your faucets and other water sources in your home and adjust as necessary. Also consider water alarms to place near all major water sources, such as under sinks, a water heater, and more. Water + Freezing Temperatures = a Bad Combination. In cold temperatures, proper pipe insulation is paramount. Whether pipes are placed deeper in the ground or added insulation with a tarp, anything to minimize the freezing temperatures is critical. One of the easiest ways to prevent a frozen discharge is to have a slight slope for your sump pump. Gravity comes into play here, as it will keep a constant flow of water with little to otherwise settle on a flat ground. Adding insulation on interior pipes should they be frozen can significantly reduce the build up of frozen pipes. Proper insulation is often available at local hardware stores and if you need a quick remedy, towels and clothing wrapped around pipes can work very well. Reducing the Sump Pump Workload. If the sump pump is under a lot of stress, redirecting some of the water – if this is feasible in your home – to another exterior source can keep the sump pump operating at an optimal rate and relieve any added stress, which also helps in the event of freezing. All sump pump installations have an exit pipe from your home. You need to make sure you’re aware of not only the location of the pipe, but also to ensure that it is open in extremely cold weather. This allows for proper water flow as needed by the sump pump. If you are unsure of its location or need assistance in either locating the pipe, have questions, or require help with any drainage or preventative water management concerns, contact our office at 410-442-2445 for more information. This entry was posted on Monday, January 21st, 2019	at 2:45 pm	and is filed under Basement Waterproofing, Landscape Drainage, Landscaper Maryland, Rhine Landscaping	. You can follow any responses to this entry through the RSS 2.0	feed. Both comments and pings are currently closed.